On Sunday, Mr. Zhdanov was detained by the police and sentenced to 14 days of administrative arrest for hindering access to transport infrastructure by organizing an illegal rally. 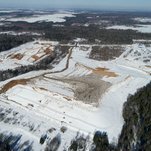 The landfill crisis started in June, when residents of Balashikha, a large satellite town just outside Moscow, complained to President Vladimir V. Putin during his annual call-in show about the “unbearable” situation in their neighborhood, which stands 650 feet away from Kuchino, one of the largest landfill dumps in the region. Mr. Putin, showing off his trademark Mr. Fix-It role, ordered the landfill closed. The government wanted to do so in 2021, allowing time to find and develop new locations to distribute Moscow’s waste, but Mr. Putin was relentless. The landfill was closed, but the 1,000 or so truckloads of waste produced daily in Moscow had to go somewhere. The regional government distributed the extra waste among the few remaining landfills around Moscow, in some cases overwhelming their capacity. The one near Volokolamsk, in Yadrovo, has seen the lines of trucks in front of its gates increase by at least a quarter. In a landfill dump, the incoming waste — most of it consisting of rotting food — is buried with soil. The waste then brews inside, producing biogas, a combination of methane, carbon dioxide, hydrogen sulfide and other components. In the absence of a collection system, the accumulated gas eventually bursts through the soil and vents in large quantities into the surrounding area. The Yadrovo landfill does not have such a system, though the owner plans to install one with the help of a Dutch company. Mr. Konopko said that he wanted to restrict the volume of waste he was receiving, but that he was getting angry phone calls, pressuring him to take more. “Do you know what country we live in?” Mr. Konopko said, implying that these were orders he could not refuse. Mr. Konopko denied accusations that he had a financial interest in handling as much garbage as he could, since he is paid about $ 2 per cubic meter, saying that the added revenues would be more than offset by the cost of the new gas reclamation system. Over all, the landfill representatives said they were just as much victims of this situation as anybody else. That is debatable, given the apparent health effects, particularly for small children. Galina N. Dubrovskaya, a former accountant, said that her granddaughter, Uliana, had been a perfectly healthy child, but that this March the girl began to wake up at night suffering nausea, dizziness and headaches. These episodes seemed to coincide, she said, with the times when the landfill spewed stinking fumes. At least 77 children were treated at the Volokolamsk hospital after one recent blast of fumes. The regional government denied that their symptoms had anything to do with the gas, and said no traces of it had been found in the children’s blood. Local residents have disagreed vehemently. 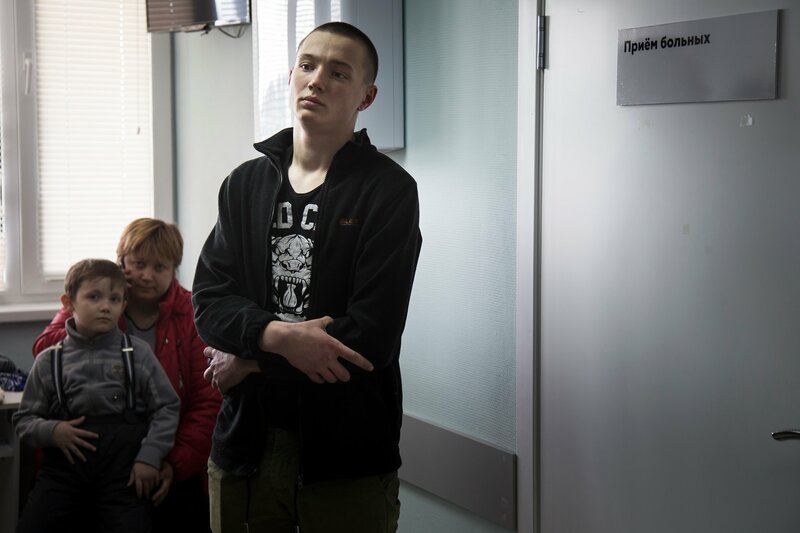 Shura Y. Antipov, whose daughter Vika was covered with large red spots, was told by doctors that the girl was suffering from some allergy and hinted at “external causes.” But they refused to link the spots to the landfill gases. Experts say Russia’s waste problem is systemic and warrants complicated long-term solutions. To solve the problem, Mr. Kiselyov said, the Russian government would need to do what it never likes doing: encourage grass-roots movements to propagate recycling among the population. “We have all these grand ideas about making Russia great, but we cannot do some fundamental things,” he said. 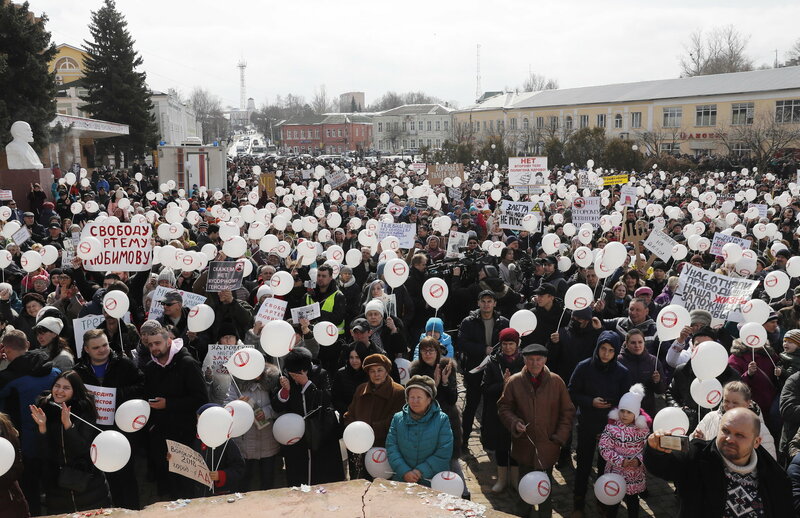 So far, the Kremlin has been characteristically reluctant to cover the problem on state-run television channels, enraging people in Volokolamsk. “Why they never cover our own, Russian problems?” said Ms. Ivanova, 59. The regional government has announced that it will close the Yadrovo landfill by the middle of this month and start its reclamation. The problem is that the Moscow waste will then be transferred to other landfills, and people are already protesting against the smell in other cities around the capital. “You can move the waste from one pocket to another, but this doesn’t solve the problem,” said Aleskandr Zakondyrin, a member of the political party Green Alliance. Deni Tsugayev, 10, said he felt nauseated every time his mother opened up the balcony door at night. When they went to the hospital, an official told them he was faking the sickness.